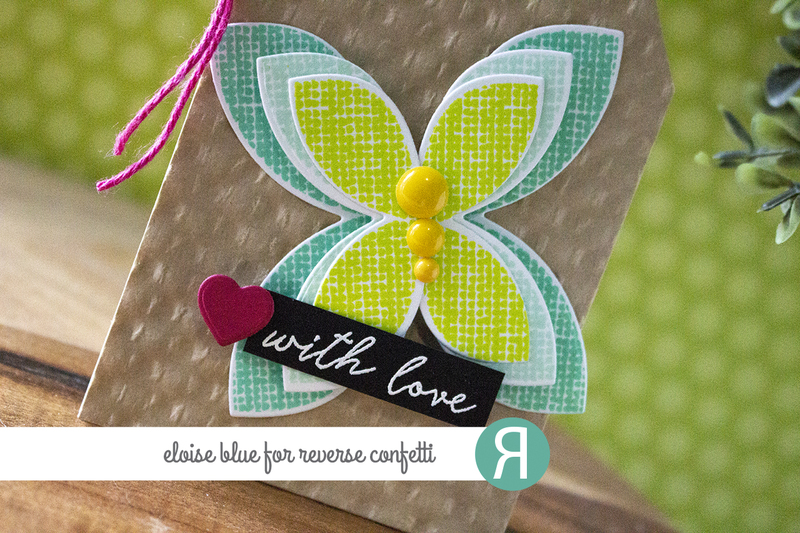 Hi friends, today I'm back for Reverse Confetti as apart of their blog hop. 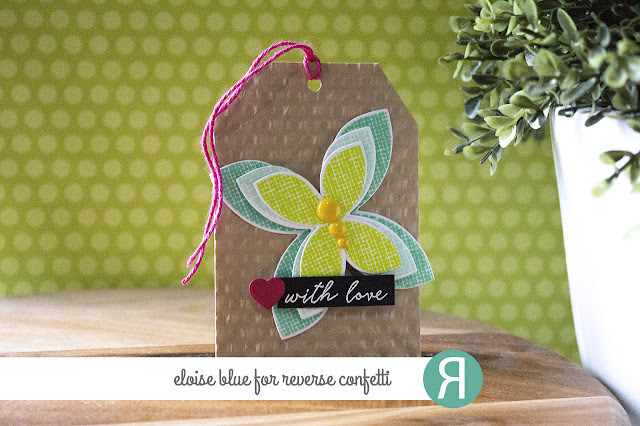 I'll be using the July Release to make a tag today. The blog hop list is down below. 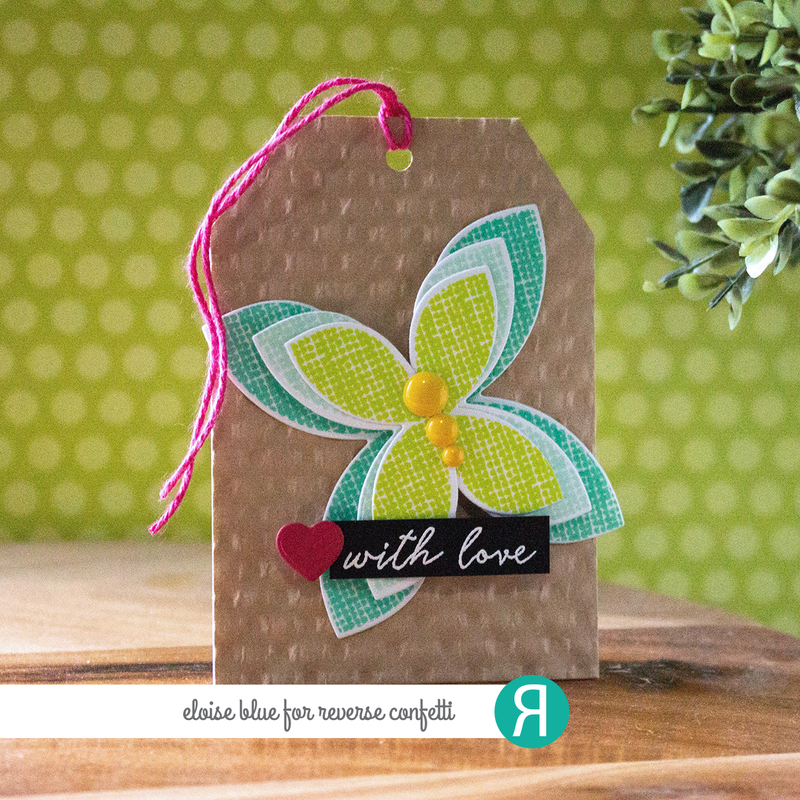 For today's project, I made a simple tag using the Mod Floral Stack Stamp Set. 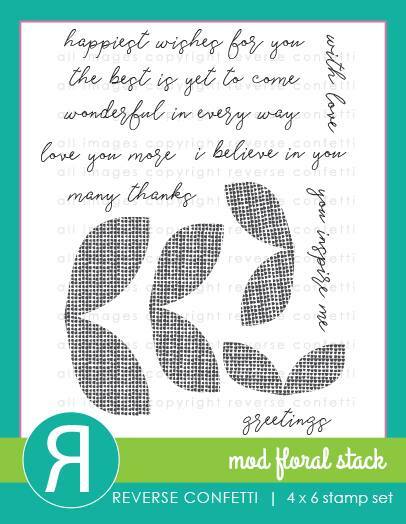 I started off by stamping out the three 'leaf' images with different colours of cardstock twice each. I then used the coordinating dies to cut them out. I then layered them altogether using foam tape. Next I cut down a piece of brown paper using my trimmer to 3" x 4" and also cut another piece of white cardstock to add behind as well. I adhered them bother together and cut angles from both sides of the top of the piece to create a tag. 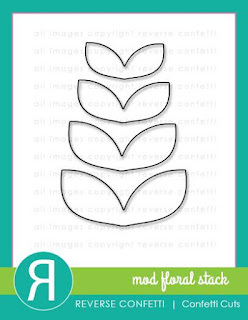 Next I adhered my layered 'leaf' images next to each other on top of the tag, arranged so it looks like a butterfly. I added yellow enamel dots in the centre to cover up the seams as well. For my sentiment I white heat embossed the 'With Love' sentiment onto a black strip of cardstock and adhered it onto my tag as well. To finish off I cut out a little heart from pink cardstock and added it to the left hand side of the sentiment and finished off the top of the tag with a punched hole and some twine. Thanks for stopping by today, I hope you enjoyed. The list of supplies used is down below and since I'm the last person on the hop, I hope you enjoyed seeing all the inspiration. See you next time! Beautiful tag...so simple and sweet!